Closing Costs Explained: How much are they and what are they for? As a Realtor for nearly 12 years, I’ve grown to find out that the issue of closing costs is one of the most confusing for buyers and sellers. This article will mainly pertain to closing costs for buyers and the costs involved in purchasing a home or condo, hopefully making this issue more clear. “Closing costs, also called settlement fees, will need to be paid when you obtain a mortgage. These are fees charged by people representing your purchase, including your lender, real estate agent, and other third parties involved in the transaction. Most buyers think that they have to save up 20% just for their down payment on a mortgage before buying a home or condo, but that’s not true at at all. There are several programs out there that can reduce that amount substantially. Most buyers who are getting a mortgage for a full time residence should expect to pay around 5% on a conventional loan. If you qualify for an FHA loan, it would be 3.5% and better yet, if you qualify for a VA loan, your down payment would be 0%. That being said, there is another piece of the puzzle that you need to factor in on buying a home — closing costs. As stated in the quote above by Freddie Mac, as a buyer you should figure on paying between 2-5% of the sales price for your “buyer’s” closing costs. After many closings under my belt, 3% is a very good rule of thumb to go by. For example, if you purchase a home for $150,000, you should expect to pay anywhere from $3,000 to $7,500 in costs at the closing table. According to a recent study, buyers at this sales price paid $3,700 in closing costs on average. I work in the Alabama real estate market, and we have to (by law) present an Estimated Closing Costs statement for every client; however, your lender will give you the more accurate closing costs statement that will apply to your specific loan. Application Fee – This fee is not always charged but would cover things like a credit check and/or the appraisal for your new home. Ask your lender if they charge this and what it covers. Many times the cost for your appraisal can be included in closing costs which can be paid by the seller, saving your money. Appraisal – This is a must-have if you’re getting a mortgage, and there is no way to get around it. Figure on paying several hundred dollars unless you include it in closing costs and have the seller paying your costs. Attorney Fee – Depending on the state that you live in, you can close real estate through a real estate attorney or a title company. Either way, they will want to get paid to work on your behalf on the purchase of your property. Closing Fee – This goes along with the above statement. If you live in a state where an attorney is not necessary, you will only have to pay the title company to oversee the closing and the title search. Some states require an attorney to be present at all closings. Alabama does not. Courier Fee – This fee covers the transfer of documents and monies to help make your transaction move quickly. Credit Report – Well, of course, you will have to have this done in obtaining a loan. A full tri-merge credit report will be purchased and will play a huge role in what interest rate that you will get. Escrow Deposit for Taxes and Insurance – We call this “pre-paids”. You will more than likely be asked to pay up to several months on property taxes and insurance in advance for your home. FHA Up-Front Mortgage Insurance Premium – This only applies if you obtain an FHA loan. There is a 1.75% fee of the base loan amount due at closing unless you prefer to roll it into the loan. Flood Insurance – This is not required of all properties of course, if your property is determined to be in a flood zone, you will have to pre-pay a few months of insurance at closing. Home Inspection – In our area, this is not a closing cost item but paid separately outside of closing directly to the home inspector. Homeowner’s Association – If your new home is in an HOA or a condo, the seller may have pre-paid the fees for the rest of the year. You may have to credit the seller back for the months that they will not live in the property. Your realtor at this point should have already told you what the monthly fees are to live in your new community. Homeowner’s Insurance – This is a pre-paid item like flood insurance and taxes. Expect to pay several months of homeowner’s insurance at closing. Lender’s Title Insurance – A fairly small amount that you will have to pay the lender, which protects the lender if there is a problem with the title after closing. Lead-Based Paint Inspection – Just like your home inspection, this is not a required expense at closing at closing in our area. By law, however, if your property was built prior to 1978, you should be given a notice of possible lead-based paint in the home. It would be up to you if you would like to pay the expense to have the home inspected. Loan Discount Points – A point is 1%. After working with your lender, you may decide to “buy” down your interest rate by paying a point at closing. This is optional. Owner’s Title Insurance – Much like Lender’s Title Insurance, this protects you in the case that there are any title issues in the future after closing; however, this is optional. Origination Fee – A fee charged by your mortgage company. This is how your mortgage professional and their company get paid. A typical fee is 1% of the sales price. Pest Inspection – Determined on how the sales contract was written, this is a must in obtaining a loan, whether paid by the buyer or seller. Pre-paid Interest – Most lenders will want you to pay any mortgage interests that will accrue between closing and your first payment. Private Mortgage Insurance – If your home appraises for less than 20% of your loan amount, your lender will more than likely require mortgage insurance. Property Taxes – 2 to 3 months of property taxes are usually required to be pre-paid at closing. Recording Fees – After closing, the title company will then have to record it at the court house. Survey Fee – This fee is not always necessary, depending on your property or preference. Most of the time, this can be paid outside of closing. Title Search – This is a very important fee because the title company assures that there is no one else that has a claim to your property. Transfer Taxes – Taxes paid when property transfers from the seller to the buyer. Underwriting Fee – Most of the time (in our area), this is not paid at closing but is included in your lender fees. VA Funding Fee – If you are obtaining a VA loan, there is a fee that runs with the loan at closing unless you roll it into the loan or are exempt from paying it. Do you have to pay buyer’s closing costs? All of these fees may sound daunting, but I listed everything that “could” apply to you, depending on what loan you obtained. Now for the important question . . . Do you have to pay them? Well, they have to be paid, but you may not have to pay for them “out of pocket” yourself. 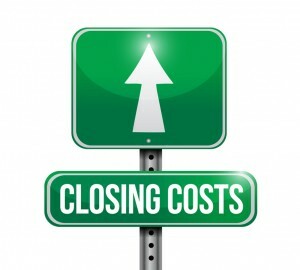 There are two ways that I can think of where you will not have to pay for closing costs as a buyer. You can work with your lender to first negotiate some of their fees, then ask them if you can roll these costs into your mortgage. There are a couple of issues with this though. You may have to pay a higher interest rate and your new potential property must appraise for the amount, including your closing costs. The other possibility is more common. Simply negotiate with the seller to pay your closing costs for you. Having the seller pay your buyer’s closing costs depends on what kind of real estate market that you’re in. If you’re in a buyer’s market, you will more than likely be able to negotiate a lower price on the new property or ask the seller to pay “X” amount of dollars of your closing costs. If you’re in a seller’s market, this option is more than likely not available. Here’s an example from one of the areas that I cover, Daphne AL real estate. The monthly market reports that I post show that Daphne has a listing to sales price ratio of 97%, which means that last month buyers on average were able to negotiate 3% lower than the list price. We are still in a buyer’s market. If we were in a seller’s market, the ratio may look like 102% or something similar. Hopefully this helps. Please get with your real estate professional for the purchase of your next property, and ask them about the particulars of closing costs for your area. About the author: The above Real Estate information on Closing Costs Explained was provided by Jeff Nelson of IXL Real Estate – Eastern Shore. Jeff can be reached via email at jeff@livegulfshoreslocal.com or by phone at 251-654-2523. Jeff has helped people move in and out of properties for nearly 12 years. I service Real Estate sales in Baldwin County including the cities of Spanish Fort, Daphne, Fairhope, Foley, Gulf Shores, and Orange Beach.